All materials have been researched and selected for authenticity. 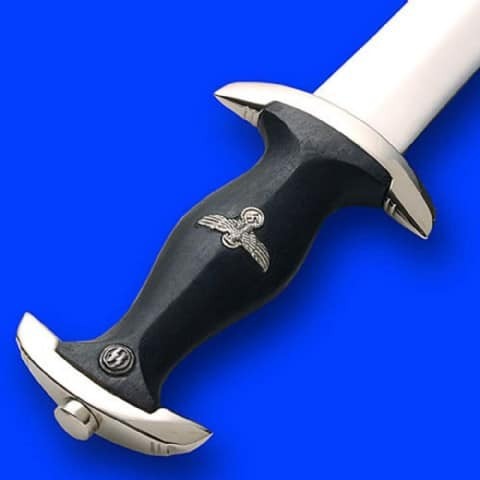 Based directly on an original model of the 1933 SS service dagger. 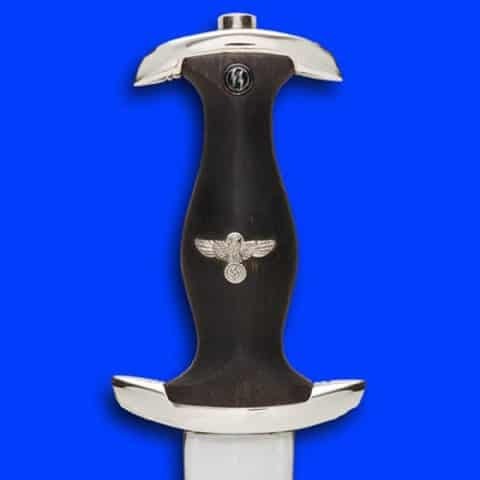 Issued to members of the most elite force in the Third Reich. High carbon 22cm steel blade. 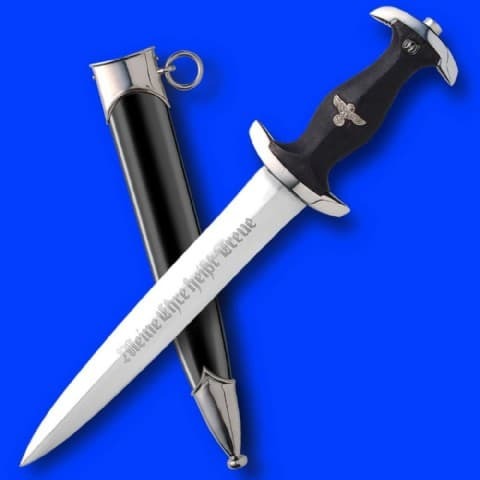 Complete with black wood grip and steel scabbard. Originals are very hard to find.